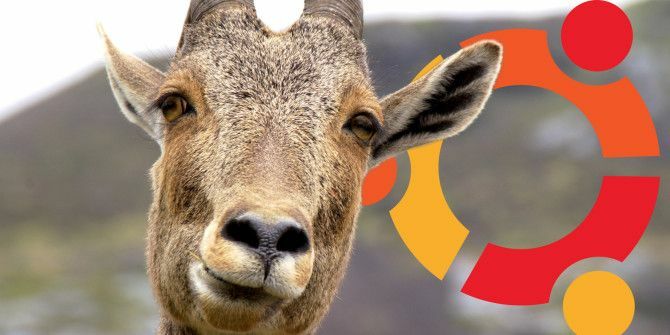 Ubuntu Users: Here's How To Upgrade To 14.04, "Trusty Tahr"
Using Ubuntu? Here’s how to get the latest version. 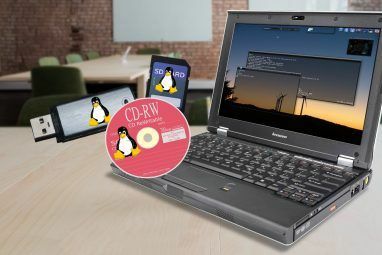 A few weeks ago Canonical released the next version of Ubuntu, 14.04 “Trusty Tahr.” We took an in-depth look at it, and showed why current users should upgrade and why Windows XP users should switch to it. But we never discussed how to do an upgrade if you’re a current user – we just mentioned how you can create bootable media for it. And upgrading is important – we have plenty of articles on different various aspects of Ubuntu that can be updated Updating Ubuntu OS & Applications: The Essentials Any Ubuntu User Should Know Updating Ubuntu OS & Applications: The Essentials Any Ubuntu User Should Know Updating your Ubuntu operating system and its installed applications is a fairly simple process, but it works very differently from Windows. All the software you install from the Ubuntu Software Center comes from Ubuntu’s software... Read More and why you should do it Why You Should Always Keep Your Ubuntu Installation Updated [Linux] Why You Should Always Keep Your Ubuntu Installation Updated [Linux] Read More if you’re not convinced. Have no fear – upgrading your current Ubuntu installation is easy. Before you start, make sure that you’ve installed all updates that are available for your current version. You can do this by opening the Software Updates application, or by running the command sudo apt-get update && sudo apt-get dist-upgrade. This is important: some updates solve bugs that might otherwise cause problems while upgrading. Additionally, before you begin, make sure that all of your data is backed up. Ubuntu upgrades tend to work very well most of the time, but there’s always a chance that something might happen since each user’s setup is different. My personal two favorites are Deja Dup, a simple backup utility Déjà Dup - The Perfect Linux Backup Software Déjà Dup - The Perfect Linux Backup Software Read More , and CrashPlan, a more sophisticated option How To Back Up PCs To Each Other Via The Internet Using Crash Plan Personal How To Back Up PCs To Each Other Via The Internet Using Crash Plan Personal Backing up the data on your computer is vital. Yet not everyone does something about it. Why? Because backing up a computer remains a bit of a pain. If you own more than one computer,... Read More . Or you can just manually transfer your files to an external drive. It doesn’t matter what you do, so long as everything is safe and stored somewhere off your computer. Now, if you’re running Ubuntu 13.10 Ubuntu 13.10 Launched With Friends Scope, Dash Filters and More Ubuntu 13.10 Launched With Friends Scope, Dash Filters and More Canonical has launched the latest and great version of the world’s most popular free and open-source desktop operating system, Ubuntu 13.10 “Saucy Salamander”. Read More , you should have already received a notification prompting you to upgrade to Ubuntu 14.04. It’ll be a little dialog box that appears when you start up your computer, as seen above. If you’re not getting a notification for some reason, you can force the upgrade with the command sudo update-manager -d.
Electing to choose to upgrade will launch the upgrade utility. It will not only update just the system packages, but all of your apps. Because of this, the upgrade will most likely take a few hours – that’s a lot of packages to download. If you’re running Ubuntu 12.04 LTS, you may be wondering why you’re not getting an upgrade notification, even though you should be notified about new LTS releases. This is because Canonical isn’t pushing this update on 12.04 users until the first point release of 14.04: 14.04.1, which will presumably be more stable than the current release. When 14.04.1 does get released in July, however, then you should see a notification in the top portion of the Software Updater screen. It should look similar to the screenshot above, but with the correct versions mentioned. If you’re using any other release of Ubuntu (such as 13.04, 12.10, or even 10.04 LTS), you seriously need to consider upgrading to 14.04 to continue receiving support and benefit from new features. You can theoretically still use this upgrade route to get to 14.04, but it won’t be an enjoyable experience. The main issue is that you can’t upgrade directly from any release to 14.04 – you can only take the upgrade routes that are allowed. For example, this means that a 12.10 user would have to upgrade to 13.04, then 13.10, and then 14.04 to reach the intended version. A 10.04 user would have to upgrade to 12.04 before upgrading to 14.04 (since LTS-to-LTS upgrades are allowed). So not only are there a lot of upgrade steps to reach 14.04 (which all take up quite a bit of time to download all the needed packages), but there are a lot of changes in each release that can cause issues down the stretch. Essentially, this means that it’s just not worth the time and the rather high risk that something is going to break. You can try the upgrade route if you’d like, but I’d instead recommend that you just perform a fresh installation instead. 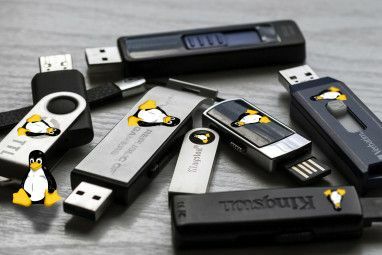 You can upgrade without losing your files How To Upgrade Or Switch Linux Distros Without Erasing Your Files How To Upgrade Or Switch Linux Distros Without Erasing Your Files Do you find yourself switching between Linux distributions frequently? You're going to want to learn this trick. Read More by using a separate home partition, but a backup is still recommended. Knowing how to upgrade your Ubuntu installation is very important, because it’s easy to do and you can benefit from all the improvements. Even if you don’t like upgrading often, it’s still a good idea to upgrade to 14.04 LTS so that you won’t have to upgrade for another 5 years if you don’t feel like it. What issues do you see during upgrades? Do you have any other backup recommendations? Let us know in the comments! The upgrade routine has a major bug: it will not delete the previous kernel, and thus you may run out of disc space. Upgrades for Ubuntu have always been problematic for me: space wasters, ultra slow upgrade process, unstable system. The best solution is to perform a totally clean install from the CD. I do this by using "gparted" to quickly erase the old partition and write a new partition. I put the Ubuntu package on the "/" partition and ALL my user files on the "/home" partition, done during the install. This enables quick backups of user files, partition security, and quick re-installs of the Ubuntu package if needed. 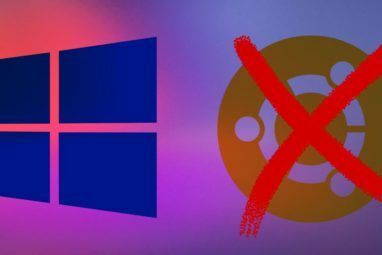 The one thing to look out for if you're using a separate /home partition and upgrading is this: You may have old configuration files hanging around your user settings. I had a /home partition that had been saved and persisted for about 3 years (and this was during the "big" change to Unity), and had a variety of annoyances. Ubuntu changes rapidly from release to release, and there have been some big changes in the last few years. Best solution I found was to patiently delete files in the /home//.config folder, the metacity folder, .compiz, and the .local folder. Be as selective as you can (in other words, try to delete as few configuration files as possible, especially if you do a lot of customizing). This is about the ONLY downside of backing up /home that I know of. I updated from a 13.?? version and lost my icons and launcher. I used steps on the ubuntu forum after searching "ubuntu lost icons launcher" but still failed to see them. Yesterday, I booted up and they were back! I have no idea what happened.